Sports packages are booked via the Sporting Schools Booking System. You will need to be a nominated contact for your school (Coordinator, Principal or Finance Contact) to access the Booking System. NOTE: before you start, it is advised that you have reviewed the program parameters and terms and conditions. 4. Your landing page will appear, select the Booking System tab and click ‘Make a Booking’. 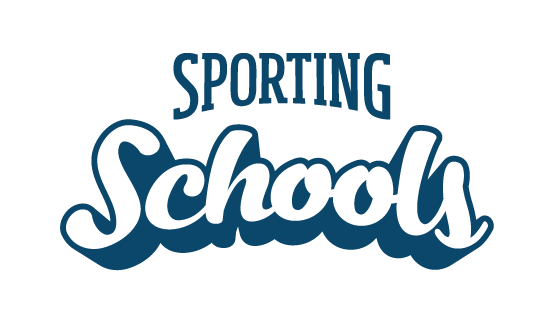 NOTE: If you are a combined school, first go to the Booking System tab and choose from Primary School Sports Packages or Secondary School Sports Packages. 5. Enter the total number of participants that will participate in the booking. You can now add multiple groups into one booking so this could be up to 300 students if a sport package allows for it. 5. A list of the sports available will appear. Select one or more sports that you would like to view the available packages for and then click 'View Packages'. Note: the numbers in the circles indicate how many packages are available for each sport in your location. NOTE: If you have not submitted an application or your funding has not been approved, the following message will appear. 6. A list of available packages will appear for you to select from. If a package allows more than four sessions then you can increase the number of sessions that each child will participate in. You can also click 'Read More' for a more detailed description of each package. Once you have determined which package you would like to request click 'Make Booking'. To complete a Teacher Delivered Sports Package booking click here. 7. Complete the group details by editing the participant numbers and year levels participating for each group. The number of groups has been pre-populated based on the number of students entered at the beginning of the booking and the student to coach ratio for each sport. You can add extra groups by clicking 'Add Group' but this will incur a higher booking cost. Once all required groups are edited, click 'Continue'. 8. Add the session dates for your sports package. Edit your session dates and start times and click 'Done'. Repeat this process until all session dates for all groups have been selected, then click 'Continue'. 9. You will now get to the summary page. Check and confirm your booking details are correct. Once satisfied with your booking, read the declaration statements and tick 'I Agree' to accept the declaration. Click 'Submit Booking Request'. 10. A confirmation of your booking request will now be displayed. Notification regarding the outcome of your booking request will be received within approximately six working days. NOTE: If you are unable to submit a booking, please contact our Client Support Centre on 1300 785 707 or info@sportingschools.gov.au. How do I request a specific coach? How do I amend or change a booking? How do I view my current bookings?